Fast forward 40 years to 1899. Swedish scientist Waldemar Junger invented the Nickel Ncadmium (Ni-Cd) battery, which used nickel and cadmium electrodes in a potassium hydroxide solution. His batteries offered better energy density than the lead-acid batteries, and became one of the leading rechargeable battery technologies for almost 100 years. By the 1990s, Ni-Cd was the primary rechargeable battery for portable applications such as laptops, cellphones and cordless phones and power tools. But it had drawbacks. Ni-Cds suffered from the ‘memory effect’—if the battery wasn’t fully discharged after each use, it lost capacity, a huge frustration for users. It also contained cadmium, which could damage the environment if disposed of carelessly. The electronics industry also began moving away from using lead-acid batteries because of their potential toxicity and these batteries were confined to specialty applications. Enter the 21st century. Battery manufacturers saw that they had to step up their game. Product manufacturers began switching to Nickel Metal Hydride (Ni-MH) batteries, an environmentally friendlier battery similar to Ni-Cd, and Lithium Ion (Li-Ion) batteries. Advances in design and energy density made Li-Ion an ideal solution for portable electronics. Computer developers, portable power tool manufacturers and communication companies embraced the change. As the demand for rechargeable batteries grew, so did the demand for recycling on a larger scale than ever before. Call2Recycle, Inc. (then called the Rechargeable Battery Recycling Corporation) recognized that the new rechargeable battery chemistries had to be included in their collection programs in the U.S. and Canada. In 2000, Call2Recycle announced it would expand its collections to include Li-Ion, Ni-MH and Small Sealed Lead Acid (SSLA/Pb) batteries. Awareness of the program grew slowly as the organization determined the best ways to expand collections while still making it accessible to as many people as possible. Businesses began jumping on the recycling bandwagon and supporting Call2Recycle’s efforts. By the end of 2002, Call2Recycle had 293 industry stewards actively funding the program in the U.S. and Canada—or 85% of the portable rechargeable power industry. Call2Recycle also signed up 35 retail stores, tripling the number from 1997. Each retailer worked with Call2Recycle to design a plan for collecting and transporting the batteries for recycling. Complementing the partner growth was an aggressive public education program targeting consumers. 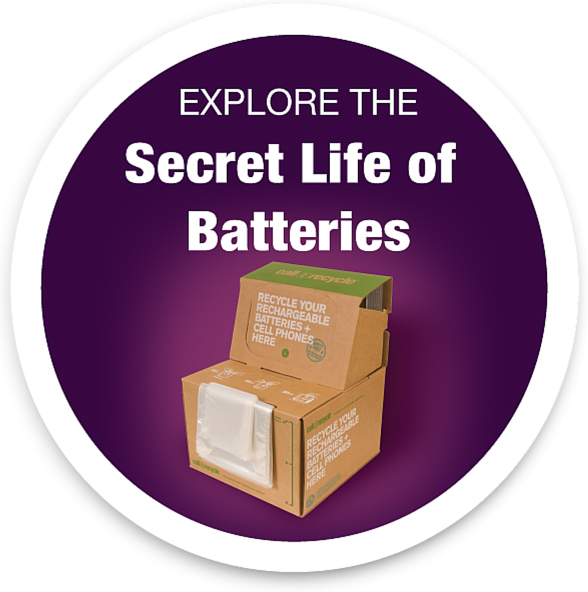 A new marketing campaign touted: “If it’s rechargeable, it’s recyclable.” As the U.S. spokesperson, Home Improvement’s Richard Karn promoted Call2Recycle’s program with Popular Science magazine and Battery Check Day events. Canadian Hockey Hall of Famer Guy Lafleur traveled across Canada talking about the importance of battery recycling. The message about the Call2Recycle recycling program was spreading. By 2002, the number of collection sites in North America had reached more than 30,000. The 800 number (800-8-BATTERY) generated 12,000 calls/month and the web site had 20,000 hits/month. A campaign to add recycling programs at community and public agencies was created. More than 2,300 agencies set up collection programs; Call2Recycle waived all enrollment fees. At the end of 2002, Call2Recycle had collected nearly 17 million pounds (7.7 million kg) of batteries, growing 82% from the 3 million pounds (1.3 million kg) collected in 2001. This increase confirmed the success of the expanded recycling program. The momentum continues. From 1996 through 2013, Call2Recycle has collected more than 85 million pounds (39 million kg) of batteries in North America, a remarkable milestone. Who was the inventor of the electric battery?